Julie Carrick Dalton grew up in Maryland and on a military base in Germany. She and her husband lived in five states and DC before they discovered they were always meant to be New Englanders. Go Sox! She’s never moving again. As a journalist, Julie has published more than a thousand articles in The Boston Globe, BusinessWeek, The Hollywood Reporter, Baby Talk Magazine, and other publications. She is a graduate of Boston’s GrubStreet Novel Incubator, a year-long, MFA-level novel intensive. She has a Master’s in Creative Writing from Harvard University Extension School and has published short stories in the Charles River Review and The MacGuffin. LitSnap, a website dedicated to flash fiction, hosts a video production of her flash fiction. She is a member of the Women’s National Book Association, GrubStreet, Sisters in Crime New England, and the Women’s Fiction Writers Association. Julie recently completed her first novel—an upmarket suspense—and is searching for an agent. Her manuscript has won five literary awards, taken one second place, made two short lists, and one long list. She contributes regularly to DeadDarlings and GrubStreet’s writer’s blogs. Mom to four kids and two dogs, Julie owns and operates a 100-acre organic farm in rural New Hampshire. She enjoys kayaking, skiing, traveling, cooking vegetarian food, and digging in the dirt. WOW: Congratulations on placing among the runners up with not one but two stories. What an accomplishment! “On Slickrock” has so many elements – the relationship between mother and son, her role as a student, the conflict with the rancher, and the foreshadowing. How can you tell when you are trying to work too much into a piece of flash fiction and need to let something go? Julie: My intention was to establish a belief system my character is absolutely committed to. She wants to protect the desert’s cryptobiotic soil. In relatively few words, I had to convince the reader she adheres to this code of ethics in absolute terms. The belief system needed to be three dimensional and tied to all of her relationships, her studies, and her job. Then, when the reader is invested in her code of ethics, I force my character to betray that deeply held value. But it had to be for a reason the reader was prepared to accept. I eliminated any detail that did not build up her commitment—or break it down. To be honest, I worried I had too many moving parts in this story, but I think—at least I hope—they hold together the end. WOW: In “On Slickrock,” the rancher’s words to Tara foreshadow later events. Many writers find foreshadowing difficult, revealing too much, thus giving away what happens later in the story. What advice do you have for writers who are trying to master foreshadowing? Julie: Foreshadowing is tough. It can feel heavy handed. I rewrote the rancher’s line and Tara’s response a dozen times to tone down his warming so it didn’t jump out and beat the reader over the head. There isn’t a magic formula to foreshadowing. It’s always a good idea to have someone else read it and gauge their response. Was it too obvious? Did it ruin the ending? Did it seem out of place? Or, was it too subtle? Did it go unnoticed? WOW: What was your inspiration for “Baptized in Blood”? How is the story you submitted different from the story you initially wrote? Julie: In 1992 I visited Manche Masemola’s gravesite in a rural area in South Africa. I’ve been haunted by her story ever since. The idea of being so devoted to a religion—whether Christianity or a tribal religion or any religion—that a person would risk their life or kill their own child, was incomprehensible to me. The fact that both of the women so passionately believed they were right, left me wondering if I would ever feel that passionate about anything, or if I would want to. In my first draft, my narrator expressed opinions. During revision, I tried to remove any sense of judgment from the story so the reader would hear the story the way I first heard it. WOW: So much information is left out of “Baptized in Blood.” The reader doesn’t know who the narrator is or what this person’s relationship is to the priest. When writing flash fiction, how do you decide what information to include and what to leave out? Julie: In "Baptized in Blood," I want the reader to feel like the narrator could be anyone, so I stripped out all background information and personal details from my original draft. The only thing I wanted the reader to detect from the narrator is the sense of longing and disquiet. I hope a reader might insert their own insecurities and longings. I want the reader to consider that both women (Manche and her mother) acted out of passionate faith. One of them became a saint because of her faith. The other was labeled a murderer. I was intrigued by this idea of absolute right and absolute wrong, and who gets to decide which is which. It’s the opposite of what I attempted in “On Slickrock,” where I wanted the reader to understand exactly what my main character believes. WOW: You have a strong background in nonfiction – reporting on various topics, writing articles. How do the skills acquired in this type of writing feed into writing flash fiction? Julie: News articles must be tight, compact, and terse. Every word counts. The details a journalist chooses need to do more than one job. A description can answer one of the W questions, but it can also add color, convey emotion, or represent something bigger. A shoe that washes up on shore after a raft of refugees sinks represents much more than just a shoe. I mostly write fiction now. I just recently completed my first novel manuscript. In the revision process I learned that even in long-form fiction, every single word matters. I started writing flash fiction as a way to exercise restraint in my writing. Running sprints can help you train for a marathon. WOW: To find out more about Julie and her writing, you can follow her @juliecardalt or juliecarrickdalton.wordpress.com. Julie ~ The inspiration behind "Baptized in Blood" is absolutely fascinating, and you make me want to research it. My own mother died because of her devotion to her religion and from mental illness/delusions, so your story really spoke to me. It's such a powerful piece and your writing is strong. Both of your flash pieces are! 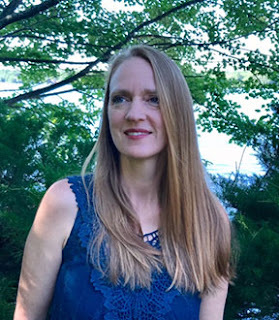 I spoke with literary agent Claire Roberts and she was surprised that she chose two stories from the same author (like all of our judges, she judged stories anonymously). Sue hit on a lot of points to your work, and I just wanted to say, you did a masterful job weaving in all these complex elements in such a short word count. Thanks for the interview! Do You Really Need to Do That to Sell a Book? What would your real bio say?